Dog owners will know that one of the toughest decisions when booking a holiday is what to do with your four-legged family member whilst you’re away. You could call in favours with friends or family and find someone to dog-sit for a week or two, or invest a sizeable chunk of your holiday budget in kennel fees. Alternatively, if you don’t want your furry friend to pine for you (and vice versa! ), why not bring him along? Many holiday activities are ideal for your dog too. Walking, beach time, sight-seeing, eating out, and of course relaxing family bonding time, are all things your dog enjoys doing with you. When it comes to choosing suitable holiday accommodation, many dog owners prefer to book dog-friendly holiday cottages over hotels, B&Bs or campsites. Staying in a home-from-home allows you to be in control of your routine and keeps things as familiar as possible, so your dog has a happier holiday. What’s more, if you choose a holiday cottage in the UK, you won’t need to worry about vaccinations, pet passports or traumatic ferry journeys. 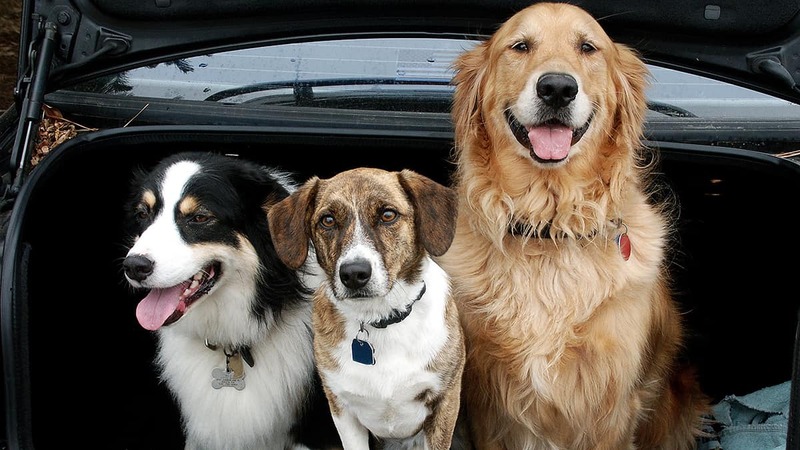 Plan your car journey with plenty of time for drinks, toilet breaks and leg-stretching – for human and canine travellers alike – to ensure a comfortable, happy journey and a great start (and end) to your holiday. Choose a destination where there are lots of beautiful rural or coastal walks to discover together, either from your doorstep or within a short drive of your accommodation. Celebrate your arrival by going for a walk straight away, to explore the immediate area and let your doggy recover from the journey. Check the house rules of the property you’re planning to stay in ahead of your stay, to understand where your dog is allowed to go, and be aware of any new risks (such as an un-enclosed garden, proximity to a main road, etc.) It goes without saying that you need to take steps to ensure your dog won’t do any damage to the property during your stay. Take familiar bedding, toys, dog food, treats, etc. to help your dog settle quickly in to the new surroundings and feel at home. A happy relaxed dog will be a great companion to share your holiday with. Look up a couple of dog-friendly venues close to your accommodation ahead of time so you have some easy options up your sleeve if you fancy a spontaneous meal out. If you’re looking for inspiration, we list hundreds of food & drink venues located near our holiday cottages. 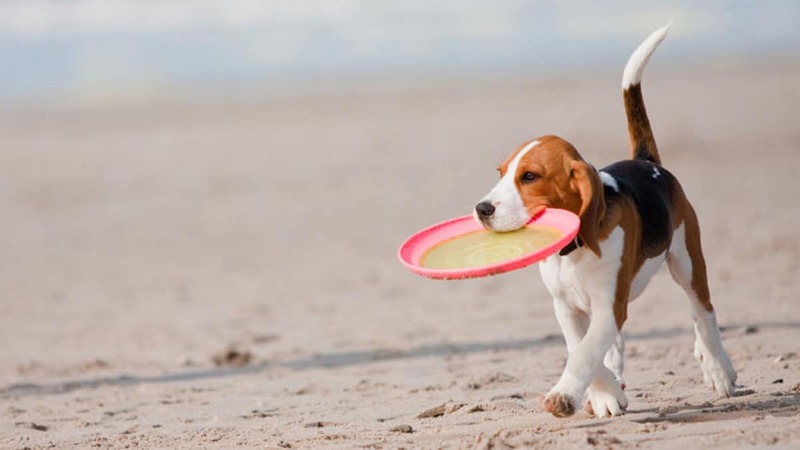 Find out about any dog restrictions on nearby beaches (usually May to October) so you can plan where best to introduce your pup to the delights of sand, sea and surf! Also, there are many family activities and days out which are dog-friendly too (such as country parks, castles, lakes, lighthouses, public gardens, etc.). A little time spent doing your research on dog-friendly things to do near you will keep the whole pack happy. Make sure you’re up-to-date with tick and flea treatment – especially in countryside areas where some ticks carry diseases. You’re better safe than sorry so don’t skip on this. Some of the loveliest natural beauty spots have been marred by well-meaning dog owners using plastic poo bags to clean up after their dog, and then forgetting to take them away with them. If you’re on a rural or coastal walk, and nowhere near a bin when nature calls, use the ‘stick and flick’ approach to move dog poo out of the path and into a hedge, or under some leaves where nature can do its work. Plastic bags never go away (even biodegradable ones need compost conditions to break down), whilst your dog’s poo will decompose in weeks. Let’s all work together to stop litter and keep our beautiful places the way nature intended. Once you’ve been on holiday with your dog once, and seen what a great holiday companion he is, you won’t want to leave him behind again! Find your perfect dog-friendly UK holiday cottage here.